Although experts often highlight history’s military geniuses, these notable commanders are—by definition—outliers. Despite their successes, the majority of military officers will not join the ranks of Alexander, Caesar, and Frederick the Great. How then can today’s officers become effective leaders? Historian Martin van Creveld reasons that, similarly to playing an instrument, military officers need to practice war in order to understand how to successfully command and strategize in the line of duty. 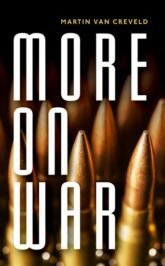 In this excerpt from More on War, van Creveld discusses the significant role of experience in military education. Waging war and fighting it are practical activities much like playing an instrument or, at the higher levels, conducting an orchestra. Hence one of the best, perhaps the best if not the only, ways to familiarize oneself with it is to practice it. As the saying goes, the best teacher of war is war. Other things being equal, the larger and more complex the “orchestra,” the greater the role of the conductor, i.e. the commander. It is he who is ultimately responsible for coordinating the efforts of everybody else and directing them towards the objective. All the while taking care that the enemy will not interfere with his plans and demolish them. Commanders must start by mastering their job at the lowest level. As the ancient historian Plutarch wrote of the Roman general Titus Flamininu, by serving as a soldier he learnt how to command soldiers. Next, commanders must proceed from one rung to the next until the most competent among them reach the highest level of all. With each additional step additional factors will enter the picture and start playing an increasingly important role. The higher placed a commander, the more varied the kinds of weapons, equipment, and units he will normally be trying to coordinate and use. Some of the factors are military. Many others are political, economic, social, cultural, and religious. All must be studied, grasped, mastered, and coordinated with all the rest. Such is the nature of war that, at the top, there is hardly any aspect of human behavior, individual and collective, which does not impinge on its conduct. And which, as a result, those in charge do not have to take into account and act upon. “The Emperor Napoleon in His Study at the Tuileries” by Jacques-Louis David. Public Domain via Wikimedia Commons. Throughout history some commanders reached their positions and exercised their craft almost purely by virtue of practice combined with their own genius. 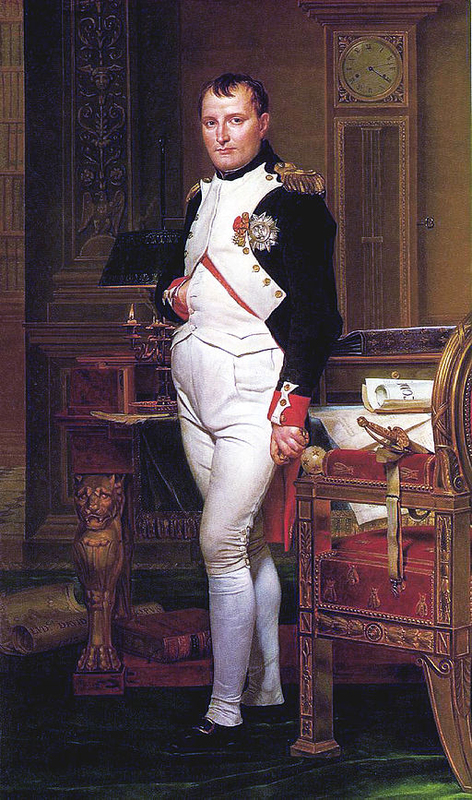 Take André, the field marshal of whom Napoleon said that he was “the greatest name of my military Empire.” Massena was the son of a semi-literate peasant. He served as a sergeant and then spent two years as a smuggler before re-enlisting. He went all the way to the top—without, however, ever entering a military academy. Erwin Rommel, one of the best-known German generals of World War II, did not attend the General Staff College or Kriegsakademie either. Another example was Ariel Sharon, probably the most gifted operational commander the Israel Defense Force ever produced. Sharon started off as a twenty-year-old private who, in darkness and pouring rain, defended his home village near Tel Aviv against the invading Iraqis. No sooner did he demonstrate his exceptional abilities than, skipping officer school, he was put in charge of others. Yet neither experience nor genius suffice. Rarely will the experience of any single person cover all the factors with which, assuming positions of greater and greater responsibility, he must cope. As King Frederick the Great of Prussia is supposed to have said, had experience been enough then the best commander should have been the mule that the Austrian commander Prince Eugene of Savoy rode on campaign. Worse still, experience can make those who have it impervious to change. The faster things change, the greater the danger. Whether or not Hindenburg was a genius is not at issue here. What is at issue is that, since most of those destined for high command and desirous of exercising it are not geniuses, they will have to do as best they can by relying on study and education instead. As Clausewitz says, from knowledge to capability is a great step. From ignorance to proficiency, a greater one still. Featured image credit: “Line of Soldiers Walkin,” CCO Public Domain via Pexels. Martin van Creveld was born in the Netherlands but has lived in Israel since 1950. Widely acknowledged as one of the world's best-known experts on military history and strategy, he is perhaps most well-known for his 1991 volume, The Transformation of War, which was the first to predict the demise of conventional war and the rise of terrorism. The author of some thirty other books, which between them have been published in twenty languages, he has acted as a military consultant for several countries, appeared in hundreds of TV and radio shows, and written for, or been interviewed in, hundreds of magazines and papers all over the world. He is the author of More on War (OUP, 2017).